QuAIA is disappointed that while the International Gay and Lesbian Youth Organization recently responded to the call from PQBDS and cancelled its planned General Assembly in Tel Aviv this December, it is going ahead with a Youth Leaders Summit in the same city. Holding the Youth Summit in Tel Aviv defies the international boycott which is aimed at ensuring Israel complies with international law. Queer Palestinian and Arab youth cannot attend a meeting in Tel Aviv and it is inappropriate to hold an international conference in a country that illegally occupies another and creates second class citizens on the basis of ethnicity. We didn’t cross the borders, the borders crossed us! The bodies of Indigenous people, queer people, migrants, people of colour and the poor have been exploited, governed, labelled and regulated by the Canadian and US states. The state has tried to interfere in our communities, our languages, our families, our love relationships and our ability to seek refuge. But we have seen that if we resist, we can win! No One Is Illegal-Toronto, along with our friends at Queers Against Israeli Apartheid call on queers, trans folks, two-spirted people, people of colour, migrants, workers, students, radicals, and allies to join us for an evening of discussion, reflection and celebration. This spring, we mobilized to stop the deportation of our friend Alvaro Orozco, who was rejected for refugee status by the Canadian government because he didn’t “look gay enough”. 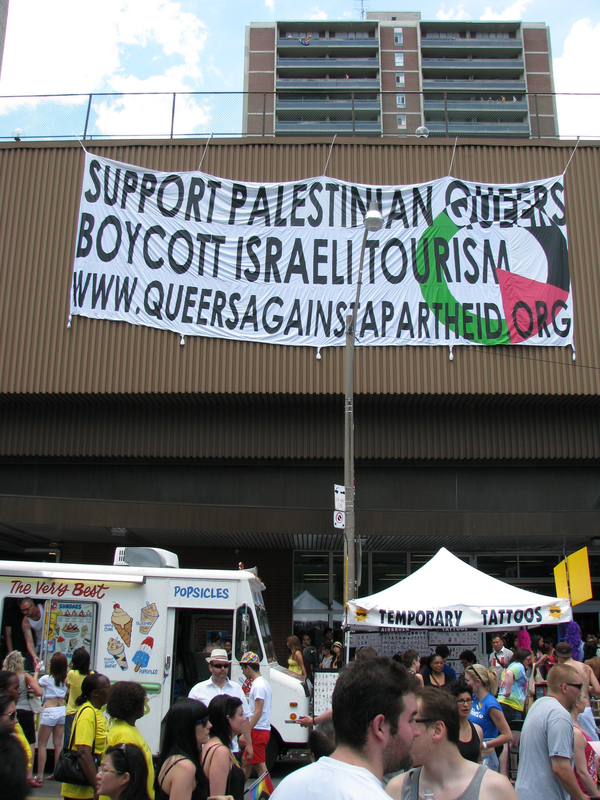 This summer, we fought and struggled against the corporatization of Pride and dropped banners asserting the growing movement of Queers Against Israeli Apartheid. We also mobilized together one year after the repression of our communities during the G20 – where we continued to challenge the Toronto Police and stepped up the fight against Rob Ford’s planned austerity cuts to the Toronto Budget. 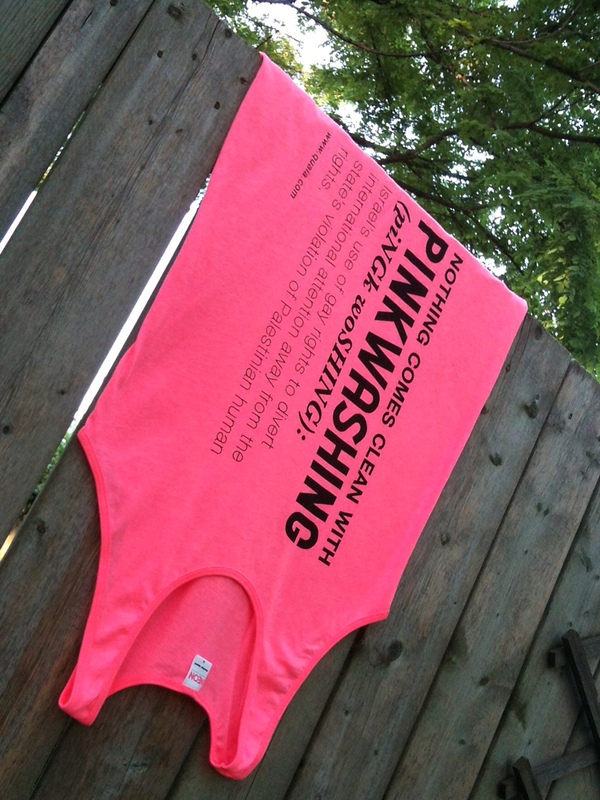 Tonight, we will share stories and thoughts with HAVOQ (Horizontally Aligned Very Organized Queers) based out of San Francisco – who have been touring across occupied Turtle Island – on their Undoing Borders Tour – after launching their interactive zine “Undoing Borders: A Queer Manifesto”. This zine is the culmination of over two years of collective work where in people came together to discuss and analyze the relevance of queer identity and migrant justice organizing, the intersections and the contradictions. QUAIA, No One Is Illegal and friends will join HAVOQ to discuss recent victories, struggles and reflections on the intersections of local queer organizing, anti-colonial and no borders analyses! The panel will be followed by a couple of DJ sets from Toronto’s own DJ Tanner (Nahed Mansour) and San Franciso’s Essex.